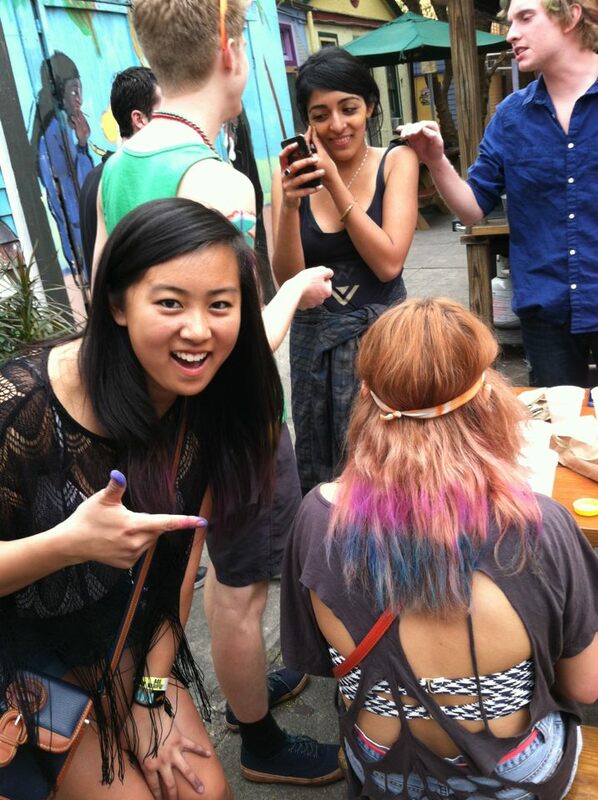 BUKU Music Festival: Part 2: Urban Outfitters Hair Chalk Review! Hello everyone! This is the part 2 post of my BUKU Music Festival experience! (For part 1, click here.) On day 2, my friend brought out the hair chalk and we put on the color. 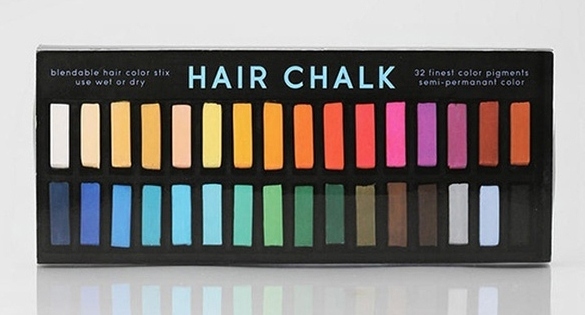 We used the Urban Outfitters Hair Chalk Rainbow Set which retails for only $14.00! This is a 32 piece set and the colors are very vibrant! Check out the pics and review below! Below you can also see how we incorporated the hair chalk in my friend’s fishtail braid! Overall, I really liked this product and plan to buy a set for myself! Considering the color pay off and variety in the set, I think $14 is an amazing deal. 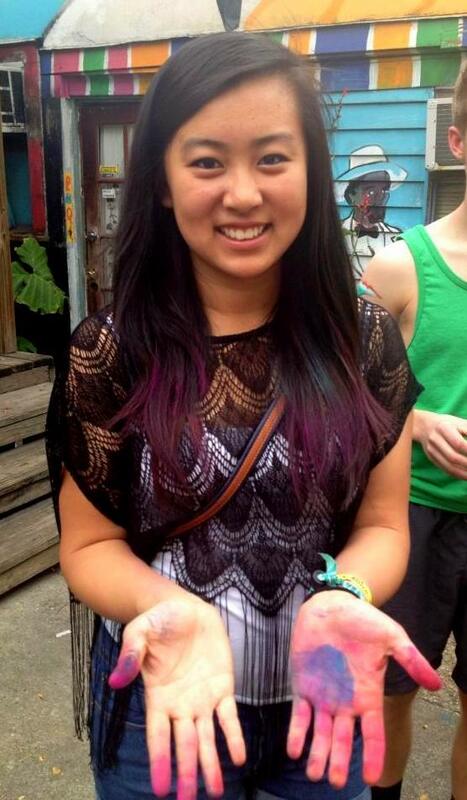 Hair chalk is perfect for creating looks for festivals and for the summer time! I would recommend getting this hair chalk set! Let me know in the comments what you think of the pictures or if you’ve tried this set before! BUKU Music Festival: Part 1: Experience + Outfits!! HOW TO: Fix Shattered Makeup!! cool! that looks so fun!